Imogen's Typewriter. 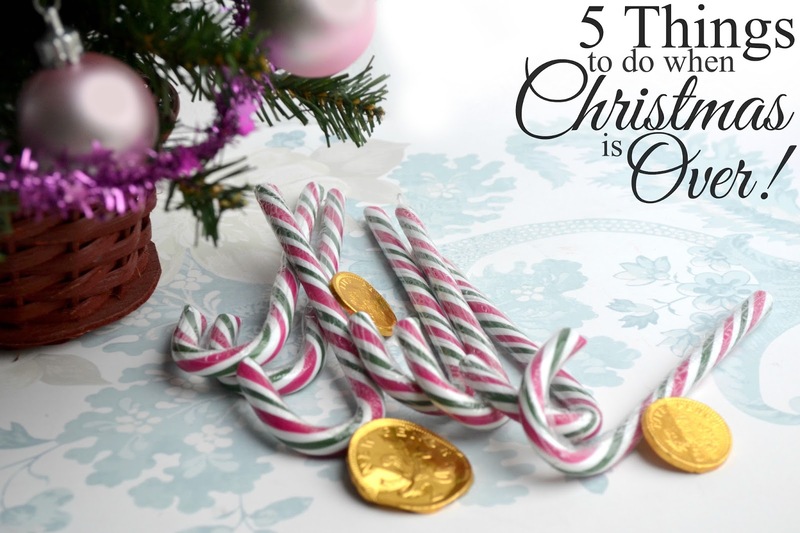 : 5 Things to do when Christmas is Over! Before you start calling my the Grinch- I love Christmas, and I'm not wishing away the season. But there's an awful gloom that comes over me when Christmas is over, the wrapping is recycled, the presents put away, the decorations taken down, and I know I'm not the only one! So here are 5 Things to do when Christmas is over to help ease the post-holiday blues. There's a weird 5 days between Christmas and New Year that are perfect for some serious self care. I know for me, I'll have eaten too much rubbish, not got enough sleep and my emotions will be running on high. It's a recipe for disaster. I've written a post on 5 things to do for Self Care, but for me, I know that post-Christmas will be filled with resting, a marathon of Frasier and lots of vegetables. 2. Start thinking about next year! I know! We're not even at Christmas 2015 and I'm thinking about Christmas 2016! But, there are some things that need to be thought about once Christmas is over. For example, I always buy my wrapping paper in the sales. I know it's not an extravagant cost but saving 50% on some really nice high quality wrapping paper is always nice and it doesn't spoil so I can put it away with the Christmas decorations. 3. Play with your new stuff! It's not quite the same now I'm an adult and my gifts aren't Polly Pockets, Barbies or Sylvanian Families. But one of the things I like to do when Christmas is over and the craziness has calmed down is really take in what I've been lucky enough to be given. Books are read, DVDs are watched, instruction manuals looked over. It's always nice to have something new! 4. Take down the decorations- but replace them with something else! There's nothing worse than the bare sight after the decorations are gone. Everything just feels- wrong when you see the space where they were. I'm not sure what I'm going to replace them with yet though. My fairy lights are staying up, I know that much. 5. Look towards the New Year! It's going to be 2016. It's going to be fresh and shiny and the year that something amazing happens- I hope! I recently started my 2016 Blog Calendar and I'm really looking forward to what's coming on Imogen's Typewriter. Not to mention the amazing books being published, returning to education and hopefully some travel. What do you do to keep away the post-Christmas gloom?